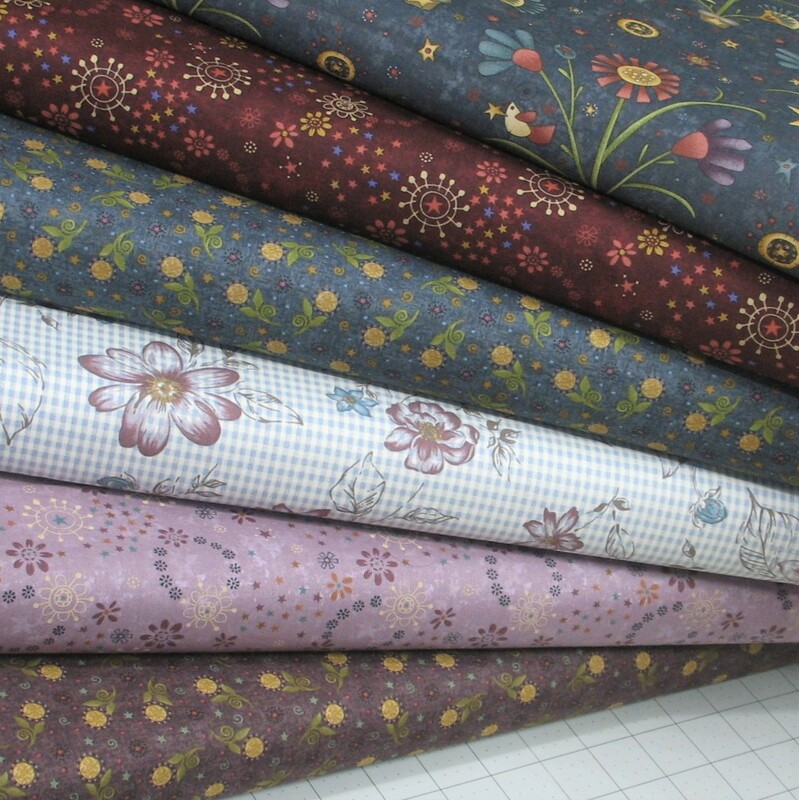 Patchwork Parcel's My Back Porch Fabric Bundle features four yards of whimsical blue, purple and teal fabrics from Henry Glass Fabrics’ “My Back Porch” collection by Janet Rae Nesbitt of One Sister Designs. 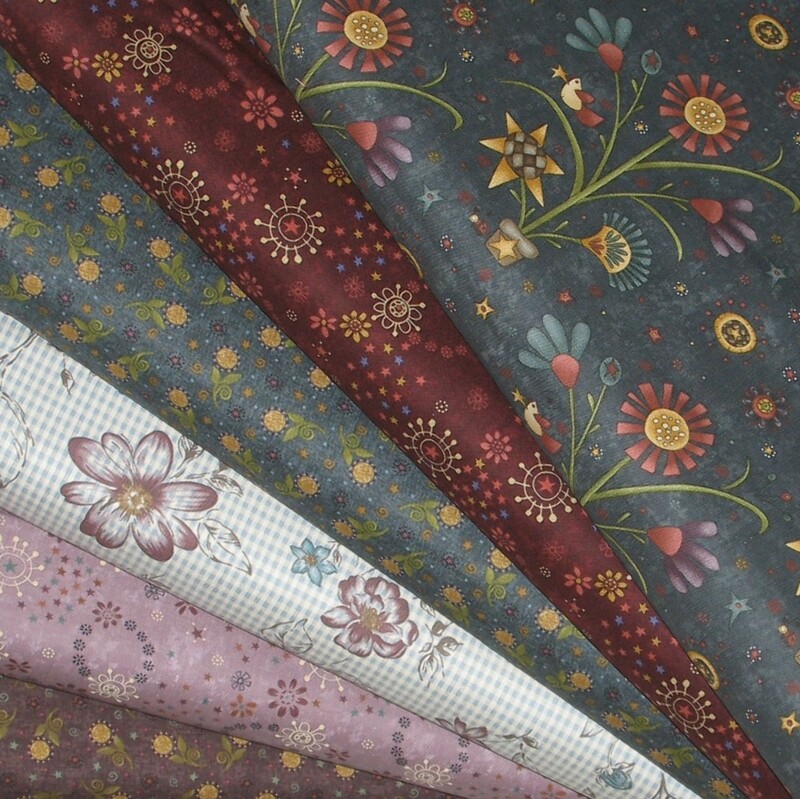 Bundle includes six coordinating fabrics - one yard of a focal print, one yard of a light/blender fabric, and four 1/2 yard cuts of coordinates - plus a pattern card for a traditional block. Fabrics are all quilt-shop quality fabrics. Shipping is via USPS Priority Mail.